Uruguay, has been looking into the legalization of marijuana for quite some time now and they are surely going to be the first country to legalize this herb. The population of Uruguay, has not only decided to legalize cannabis, but they are already establishing a general market price for this herb and this shows how serious they are about making marijuana legal in their territory. It will be this November, when the new cannabis bill, will be analyzed in Uruguay's senate and many are certain that it will give the government power, to regulate this herb. According to some studies in this country, legalizing cannabis, could bring more than $40 million into the government's finances and this will help to fund other important things around Uruguay. President Jose Mujica and the lower house, have already approved this cannabis related bill and this gives everyone hope, as the senate, will surely opt to follow the President's decision. This new law, was created, because Uruguay wants to battle illegal drug trade and end drug cartel power as well. Uruguay's government officials believe, that legalization is the only method for controlling these problems, as prohibition obviously did not work and new measures are needed right now. Calzada, also stated, that one gram is enough for three slim joints and one big one, which is more than enough for personal use. Calzada also mentioned, that the first legal marijuana crop in Uruguay, will be ready by 2014 and at Zip 420, we believe that this will change the world forever. 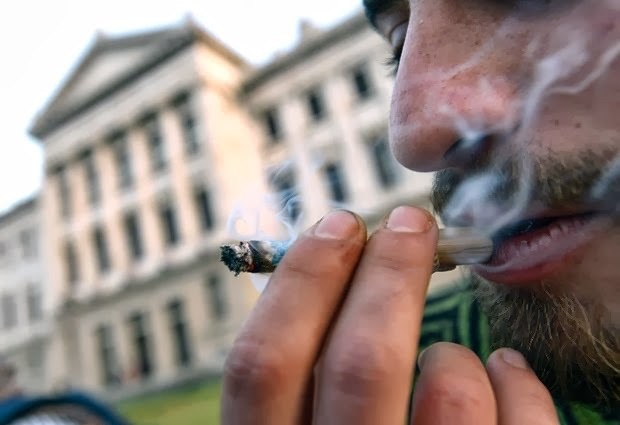 The proposed bill, states that citizens of Uruguay, will need to register to a private database and follow other conditions, in order to purchase marijuana legally and be able to consume it, without being harassed by the law. People in this country, will also be allowed to grow six cannabis plants for personal use and they will also be able to form groups of up to 45 members, to grow a limit of 99 plants. The government of Uruguay, will also provide education and other tips, for people who consume this herb and will help anyone who feels are having problems with it. Calzada, also talked about vaporizing, instead of smoking marijuana in a regular joint, as he believes that this is much safer, than smoking a normal marijuana cigarette. 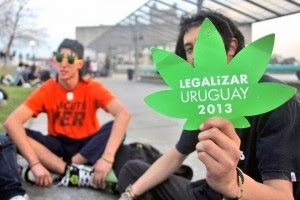 This is certainly great news and we cannot wait for Uruguay to start their new marijuana law. Please remember to share and like this blog post, so that more people can read about the new legal marijuana market in Uruguay and promote the legalization of this herb. You can also subscribe to our free mailing list, by leaving us your email in the box to the right and we will send you more information about cannabis and the legalization of this herb around the world. A Zip 420 citizen, is everyone who believes in the use of cannabis! Become a Zip 420 citizen, by registering your email below. Buy The Author A Coffee!